Volume 2, Number 7 of Boom! 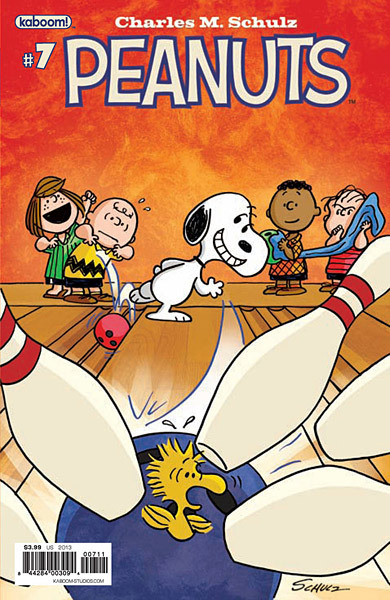 Studio's Peanuts comic book arrives Wednesday, March 27, 2013. In this issue you'll find the new stories "Bank Notes" and "Alley Oops," as well as a "Rainy Day Mini-Poster" and several classic Sunday Peanuts comic strips. There's a preview at Comic Book Resources as usual. Look for this issue at your local comic book store (if you're having trouble finding it, consider setting up a subscription or standing order for the Peanuts comic), or order it from Boom! Studios' website.